How Does Holistic Addiction Treatment Work? When used in conjunction with traditional treatments, holistic therapies can enhance the patient’s treatment and early recovery experience. The holistic, or integrative, approach to any medical or health condition, including treatment for drug or alcohol addiction, can be extremely beneficial to the patient. It can decrease stress, boost immunity and increase psychological resilience which can help the body heal faster, cope better, and maintain health. The holistic approach to recovery encourages the person to practice healing strategies that heal and protect all areas of his or her health, including mind, body, and spirit. Holistic detox and recovery facilities are becoming more common, and many doctors and other medical professionals endorse their all-encompassing approach when combined with traditional modes of addiction recovery. Many addicts, who have not had success with traditional recovery alone, are finding that the holistic approach is more effective. What Exactly Is The Holistic Approach To Recovery? Holistic recovery takes into account that addicts turn to drugs or alcohol for many different reasons. Some do so to escape psychological pain from negative life experiences or trauma, some to self-medicate physical pain or other medical issues, and some to fill a feeling of spiritual emptiness. Often, addicts don’t know which area they are attempting to “fix” with their using or drinking, so using the holistic approach to recovery – a program that examines and treats all three areas of mind, body, and spirit – increases the chance of addressing their problem areas, so they can better abstain from drinking or drugging. Additionally, the philosophy behind the holistic approach to recovery says that all three areas of health are intertwined. That means that if one area is diseased, it will affect the other two. Treating all three will heal each area, helping individuals to stay sober after the main influence of their using is resolved. Holistic rehabilitation programs are much like traditional programs, in that they offer 24/7 medical care, detoxification if needed, individual and group therapy, educational classes and lectures, and exposure to 12 step programs. However, they also offer individuals the ability to work on every aspect of their health. For example, they may attend meditation sessions for their spiritual health, counseling sessions for psychological health, and exercise for their physical health. In order to accomplish those goals, most holistic treatment is combined with traditional treatment to balance healing in the three core areas. Some of the holistic treatments may include things like acupuncture, nutritional therapy, exercise programs, massage therapy, spiritual or religious counseling, yoga, meditation, mindfulness, and art therapy. Holistic recovery centers offer one-on-one activities and therapy to assist patients with overcoming their drug or alcohol addictions. The programs place more focus on individualized therapy than do their traditional counterparts. They believe that addictions need to be treated in varying degrees, depending upon the patient in order for recovery to be successful. Individuals entering holistic treatment facilities can choose from gender-specific programs that focus on healing without distractions, programs for teens that focus on age-specific issues, and religious recovery programs that utilize religious philosophies to promote healing. 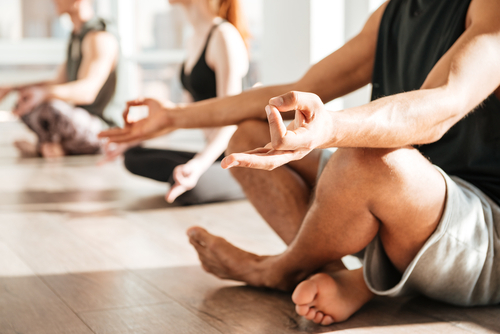 As with traditional rehab facilities, holistic centers typically require a minimum stay of 30 days for proper treatment, allowing patients time away from their day-to-day lives to better focus on their recovery. Not all facilities are the same, though, and there are some things that you may want to consider before choosing a center. Whether or not the staff-to-patient ratio is low. If it is, patients will be quicker to open up as it will take a shorter amount of time to become familiar and trusting of the therapists and staff. The level of education the facility’s therapists have achieved. Holistic recovery centers should have therapists who have a master’s degree in behavioral science and social work. A higher level of education provides therapists with the required knowledge to help patients with behavioral changes necessary to stay sober. Whether or not there is a balance of group and individual therapy. Having the proper balance is essential to effective treatment. Many traditional facilities rely heavily on group therapy, with minimal individual sessions. What services are offered, and whether or not they address the whole-body perspective. It’s important that a holistic facility offers a variety of different services that promote healing in mind, body, and spirit. Whether or not the facility has follow-up or aftercare for patients. Life-long recovery isn’t achieved by only one stay in a treatment center. Make sure that the facility you choose has some sort of aftercare for alumni of its program. If you or a loved one is struggling with addiction, and you don’t know what the underlying causes are, it may be in your best interest to seek a holistic recovery center – one that offers healing for the mind, body, and spirit to promote recovery from addiction, overall healing, and a focus on the future.